Play Royal Troon, including one of the top holes in the world, the par-3 “Postage Stamp” a scant 123 yards. Limit 4 per person. Not valid for leagues, outings, cash back or with any other offer. Expires 7/1/2019. A spectacular course in a beautiful setting, Edmund Ault’s genius is on display at each of Belles Springs exceptional 18 holes. When it comes to naming the heavyweights of American golf course design, few names conjure up the kind of respect as Edmund B. Ault, ASGCA. Ault’s designs span the country, from Vegas to Myrtle Beach, but few of his masterpieces can compare with today’s feature course: Belles Springs Golf Course in Mill Hall. 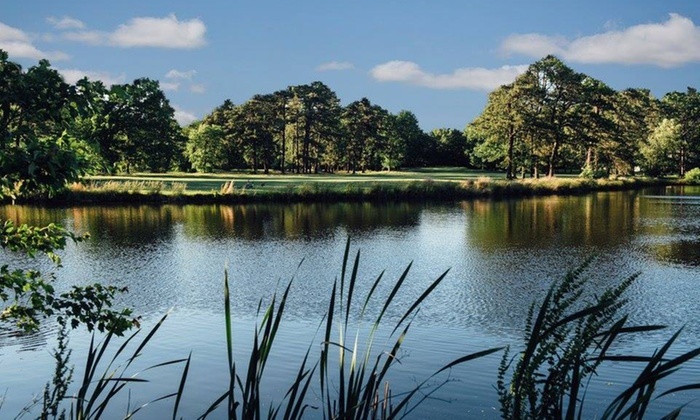 Exceptionally constructed and playable for even the novice player, Ault’s gorgeous 18 holes create one of the finest playing experiences in the Commonwealth. 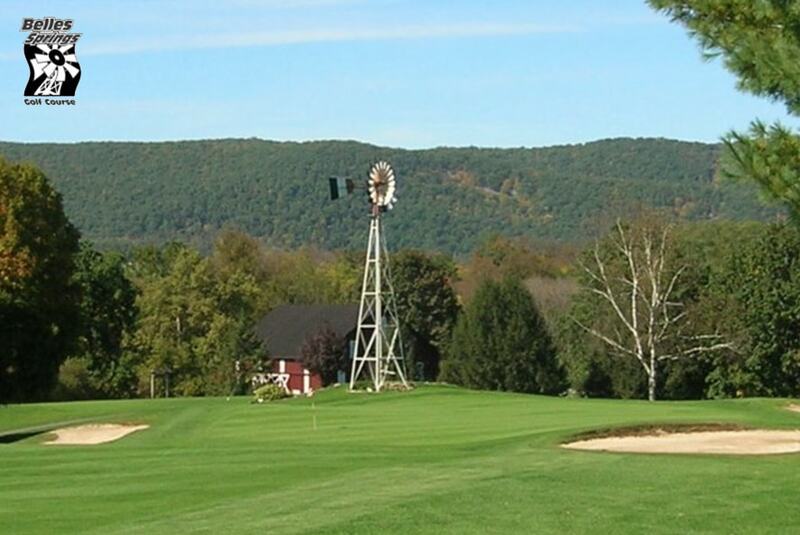 Located in a rural and secluded setting that sets the stage for a relaxing round, Belles Springs is truly one of Pennsylvania’s best hidden gems. The course itself shows off the gorgeous tenants of the Commonwealth’s countryside, and uses all of her features to its advantage. Many changes in elevation not only make the layout look picturesque, they also add quite a bit of challenge throughout – complicating distances and making uneven lies a fairly common occurrence. You will find water in play here, but the course stays fairly open aside from the towering mature trees around the fairways and cleverly placed bunkers protecting the greens. Play within your abilities and create a course management plan early, and a low score at Belles Springs is certainly possible on the day. Before, after, or even during your round, Belles Springs provides an exceptional set of amenities that you’ll definitely want to experience before your day is though. For practice before your round, an extensive practice facility is available for use including a full-service driving range, chipping green, and meticulously manicured putting green that perfectly mimics course conditions. If you’re looking to upgrade your equipment, accessories, or apparel, the Judd Caruso Golf Shop carries a full line from many of golf’s biggest brands – and you’re sure to find something that you’ll love. The snack bar offers daily specials to tide you over at the turn, and the clubhouse bar, featuring incredible views of the course and surrounding mountains, makes for the perfect place to enjoy a post-round cocktail and toast your scores with friends. Formerly known as General Washington Golf Course, this renovated, manicured regulation course fronting Egypt Road in Audubon, now plays slightly over 6,100 yards from the back tees. Wide, gentle rolling fairways appear forgiving, but well-placed hazards, pitched greens and a higher cut rough challenge all levels of play, and demand well placed shots. Both players and the press like what they find. GolfLink recently ranked The Club at Shannondell one of the 25 Best Golf Courses in Pennsylvania. In addition, Golf Digest named the Club’s course to its “Best Places to Play” list. This promotion is made available through GolfNow. Groupon is not affiliated with or sponsored by The Club at Shannondell in connection with this offer. Voucher valid only for date and time listed; may not be exchanged or redeemed for other dates/times. Non-refundable and non-cancelable unless the course is closed due to weather. For Hot Deals, full payment is due at time of purchase on Groupon (no additional fees). For tee time bookings, booking fees are due via Groupon and green fees are due at course; customer is responsible for payment of green fees unless the course is closed due to weather. Offer not eligible for Groupon promo codes. Groupon Terms of Sale and Extraordinary Event Policy do not apply. Purchaser name provided at checkout will be shared with GolfNow and The Club at Shannondell to fulfill order. Seaview Winter Special! Play a round and receive a dozen balls for $89 anytime! 1 Round of Golf & 1 Dozen Golf Balls Valid Anytime from now until 4/30/2019. This voucher cannot be used in conjunction with other special offers or coupons. Golf ball dozens are first come first serve for choice in dozen. Please call (609) 748-7680 to book your tee time. This voucher does not guarantee a tee time slot. Limit 4 per person. Must make tee time; subject to availability. Not valid before 11AM weekends and course holidays. Not valid for leagues, outings, cash back or with any other offer. Expires 7/1/2019. This tough little Par 68 gem, has given golfers a run for their money since 1962 with seven of 18 holes playing through or around water. 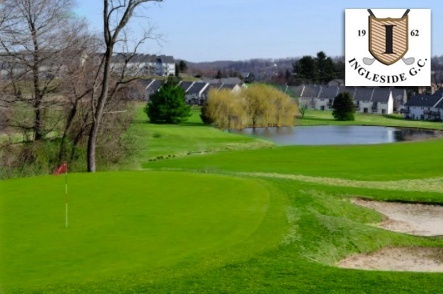 Nestled in historic Chester County, Ingleside Golf Club is known for its “old school” appeal and excellent playing conditions. For over 50 years, Ingleside has provided golfers with an excellent track both challenging and enjoyable. Playing a total of seven water holes and maneuvering around tough green-side bunkers, this design demands a patient swing in an environment that’s yours to conquer. Just off the Highway 30 bypass lies this quaint little course, built way back in 1954. A truly memorable location, Ingleside proves to be a challenging round with a simple setup. Though limited on space, the course’s design creates an appreciation for its short layout. Ingleside is also beloved for striking a perfect balance of difficulty for beginners and experts alike. Playing 5,106 yards from its longest tees, Ingleside Golf Club is a par-68 with 64.1/112 course/slope rating. Consistently praised for it’s well-kept conditions and superb scenery, this old course keeps the pace fast while maintaining a high degree of fun and playability. 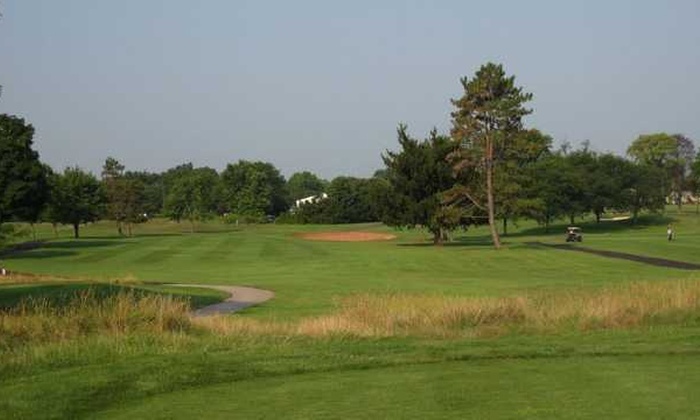 Set amongst the rolling hills of Thorndale, Ingleside Golf Club also presents a pleasant backdrop of all the natural beauty this great state has to offer. Stop in and visit the Ingleside golf shop before or after your round to stock up on equipment, accessories and apparel from all your favorite brands. They can also help you out if you’re looking for a snack and a cold beverage! So come explore one of the state’s finest public golf at Ingleside Golf Club, a course that’s just too short and sweet to pass up. Promotional value expires 120 days after purchase. Amount paid never expires. Reservation required, 48 hour advance notice required. Valid Mon – Thurs after 10.30 AM and Friday – Sunday after 11.30 AM. Limit 2 per person, may buy 2 additional as gift(s). Valid only for option purchased. Merchant is solely responsible to purchasers for the care and quality of the advertised goods and services. Mays Landing Country Club proves that upscale golfing doesn’t have to come with a huge price tag. 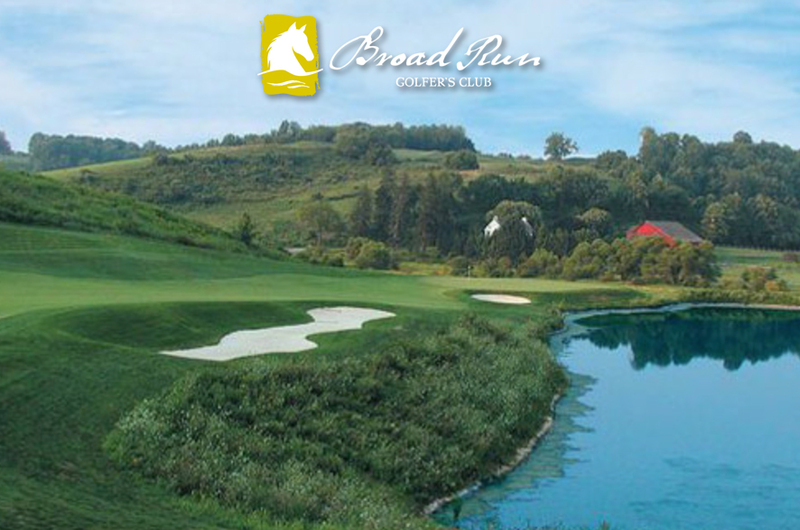 Leo Fraser, the designer of the grounds and past president of the PGA, intended to create a well-conditioned yet affordable course so that everyone could enjoy the game. Today, Mays Landing has stayed true to that while also offering an abundance of extra features including a practice facility where golfers can warm up on the chipping areas and putting greens before heading out to play 18 holes. Limit 4 per person. Subject to availability. Not valid before 11AM on weekends and course holidays. Not valid for leagues, outings, cash back or with any other offer. Expires 7/1/2019. Famed golf architect Rees Jones transformed this late 18th Century farm into a formidable and beautiful par-72 golf course. With heavily undulated terrain, it plays all of its 6,751 yards and then some. Do spare some time to enjoy the exceptional dining experience at The Bordley House Grille. 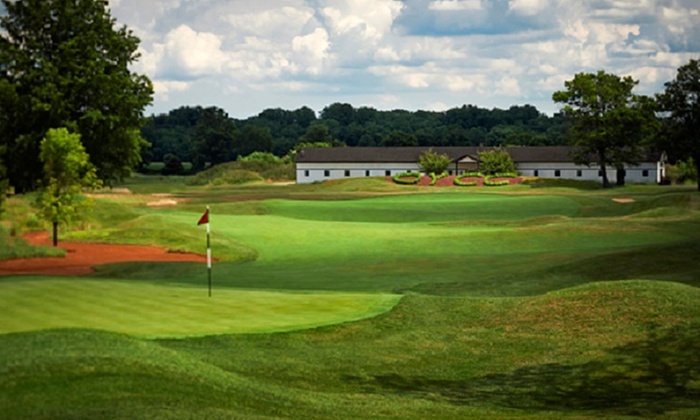 Few golf courses can trace their lineage back to the late 18th Century, but in the case of Broad Run Golfer’s Club, one can see and feel the history in its very bones. The land here was once known as “Como Farm,” named so by agriculturist and philosopher John Beale Bordley. Back then, the farm served as his laboratory, and he used the land to conduct experiments on crop rotation and soil fertility. Centuries later, this fertile soil was placed into the very capable hands of golf course architect Rees Jones. Mr. Jones, the son of renowned architect Robert Trent Jones, was tasked with shaping all 372 acres of former farmland into the unmatched golf experience it is today. Measuring a maximum 6,751 yards from the back tees, this shapely par 72 hugs the curves of its hilly terrain. Course conditions are maintained at superb form, and tightly clipped Princeville bent grass tees and fairways provide consistent lies. Greens are of above-average pace, and roll true. To score well, pay particular attention to shot placement from the tees on par-4s and second shots on par-5s — many fairways are slightly offset and all have subtle slopes and angles that can lead quickly into trouble. Before heading out, prepare for your round on Broad Run’s practice facilities, including natural grass range, short game area and putting green. From $40 for a round of golf at Twisted Dune Golf Club in New Jersey. Twisted Dune Golf Club is a par 72 daily fee course located in Egg Harbor Township, NJ. Designed by Archie Struthers, the 18 hole course opened in 2001. 18 holes designed by Gary Player with native grass and 75 feet of elevation changes; 1-day membership with access to locker room and dining.. Promotional value expires 120 days after purchase. Amount paid never expires. Tee Times redeemable ONLY on Tuesday, Wednesday, & Thursday. Tee time must be scheduled 72 hrs in advance. Limit 1 per person, may buy 1 additional as gift(s). Valid only for option purchased. New customers only. Merchant is solely responsible to purchasers for the care and quality of the advertised goods and services. It’s already tough to maintain a golf course without horses grazing on the greens. Luckily, the 180-acre grounds at Old York Country Club no longer serve as an equestrian estate. Instead they’ve become a canvas for golf legend Gary Player, who used the undulating landscape to craft an 18-hole, 6,770-yard course. Player’s design connects weaves the fairways through swells of native grass, deep bunkers, and massive trees. All the while, elevation changes of up to 75 feet instill games with both drama and beauty, like Shakespeare announcing a tournament on TV.